very delicious Halwa indeed.this could become a fav halwa for ur kids because its so colourful and tasty. Grind pomegranate seeds to a fine paste in a mixer grinder with 5 cups water. Strain the pomegranate juice which should at least be 1 litre. Heat ghee in a frying pan and roast cashews and raisins and keep aside. Add pomegranate juice,a pinch of red colour and cardamom powder to the remaining ghee and when it boils,add sugar and stir till the sugar gets dissolved completely. Then add the vanilla essence to the mixture. Saute for 30-40 mins at least till ghee separates from the mixture( stirring continuously). Add the ghee roasted cashews and raisins and mix well. 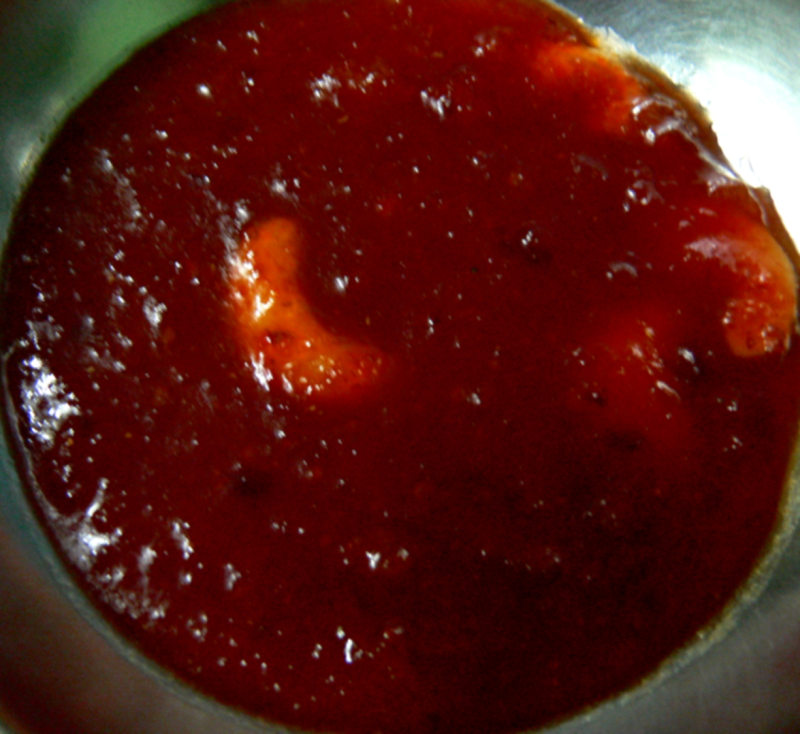 Serve this Tasty Pomegranate Halwa hot or chilled. too much long process, is it really that tasty?